As the ultimate dog-loving nation, the UK's history is inextricably entwined with that of their dogs. Through history they have sniffed, rolled, shaken, and pawed their way to the nation's hearts, and behind almost every great Briton is a faithful hound. This beautifully illustrated book tells the story of Britain from Roman times to the present and looks at native British breeds and the extraordinary roles they played in society, from providing entertainment to herding livestock to guiding the visually impaired. Dogs have fought with Brits in war, searched for them in trouble, aided them in industry, and offered companionship with no reward. They crop up in almost every aspect of history, and offer a fascinating insight into the shaping of a nation. 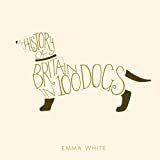 Emma White completed a masters degree in British First World War studies at the University of Birmingham and is now studying for her PhD in the use of dogs in the First World War at the University of Chichester. She was project manager for the Great War West Sussex project, and has previously worked in two Greater London archives.